I'm continually working with and testing my fibres. I create samples that are displayed on my stand at shows. 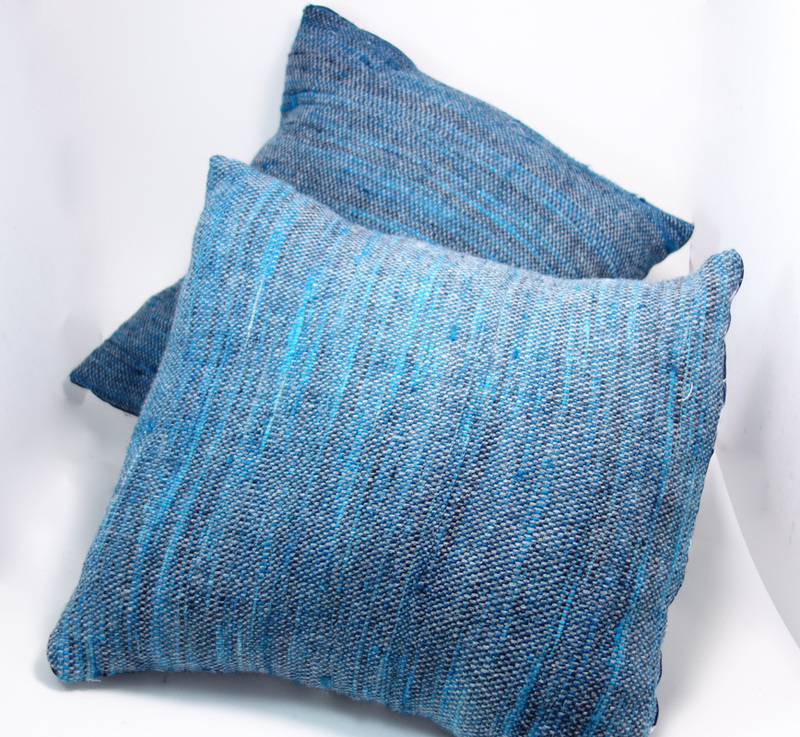 They're a really good way to get a feel for how my dyeing techniques work as spun yarn, and how to use them in finished objects. 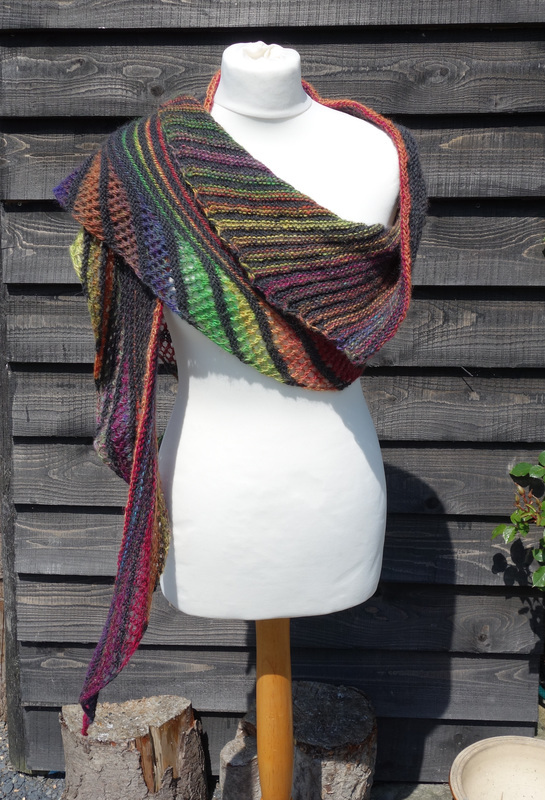 Made using 2 x Cashmere Mixed Colour Packs. 60g of fibre in total, 10g of each colour. 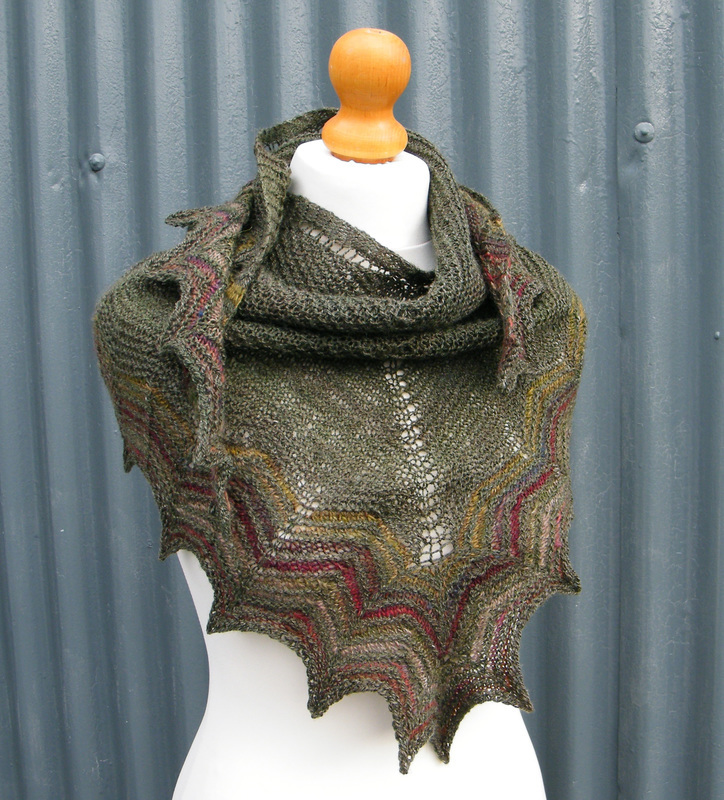 ​Modified to be slightly smaller, details are on my Ravelry project page. 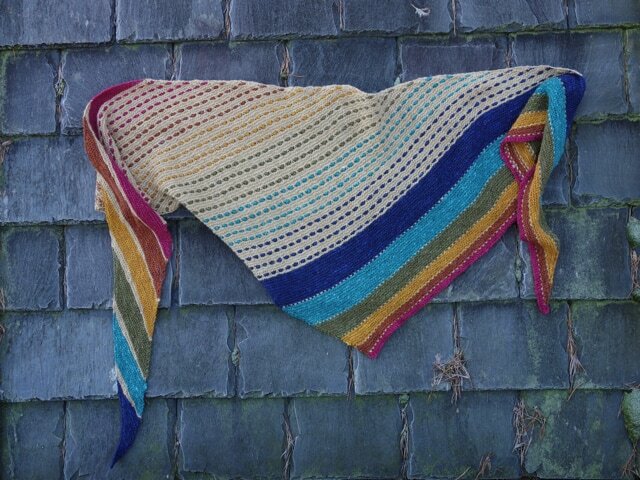 Shown here in a gradient dyed on Camel, Seacell & Faux Cashmere, combined with a skein of hand dyed commercially spun yarn. 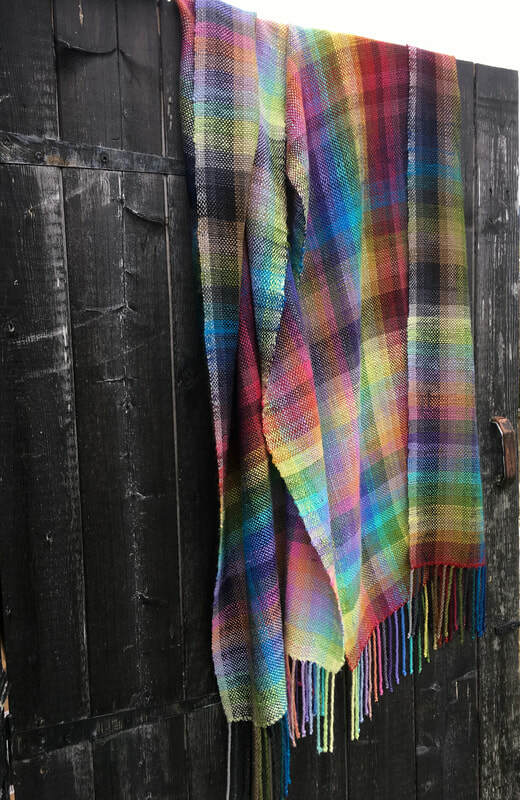 Woven Colour Gamp Scarf. 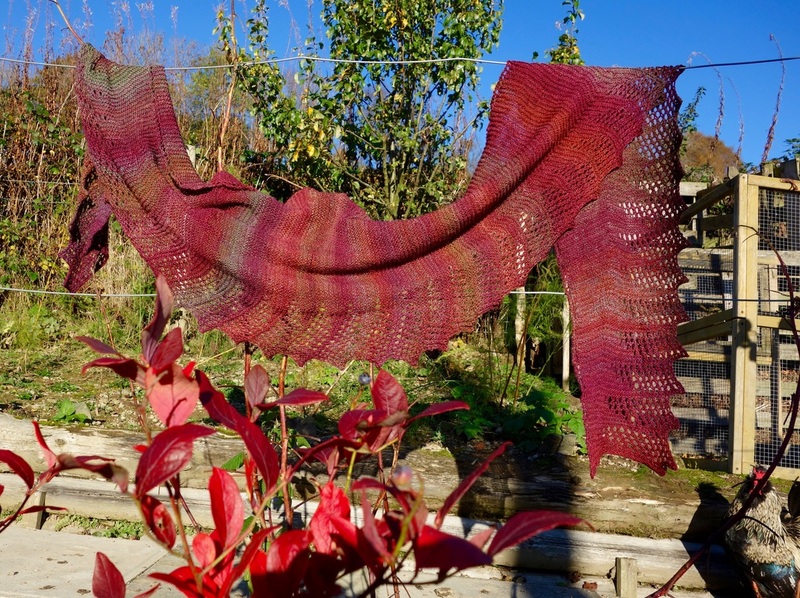 Using all 39 colours of Tussah Silk. ​Full details are in this blogpost. Shown here in the Colours of Cambria, Mine colour way, with 100g of natural Cambria. Pattern can be adapted to work further chart repeats to use up all of the yarn. Made using Silk Road Collection. 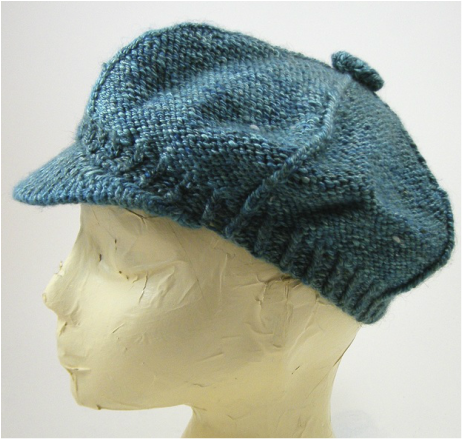 The denser nature of this blend means you need slightly more by weight than the pattern page indicates. 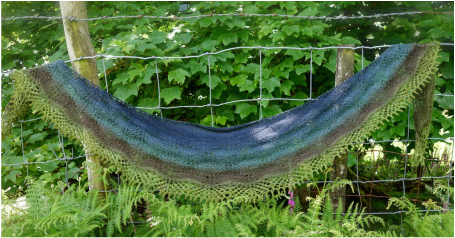 I'd recomend buying 2 of the Sample Packs (40g of each shade), plus you'll need a 100g braid of the Tussah colourway. 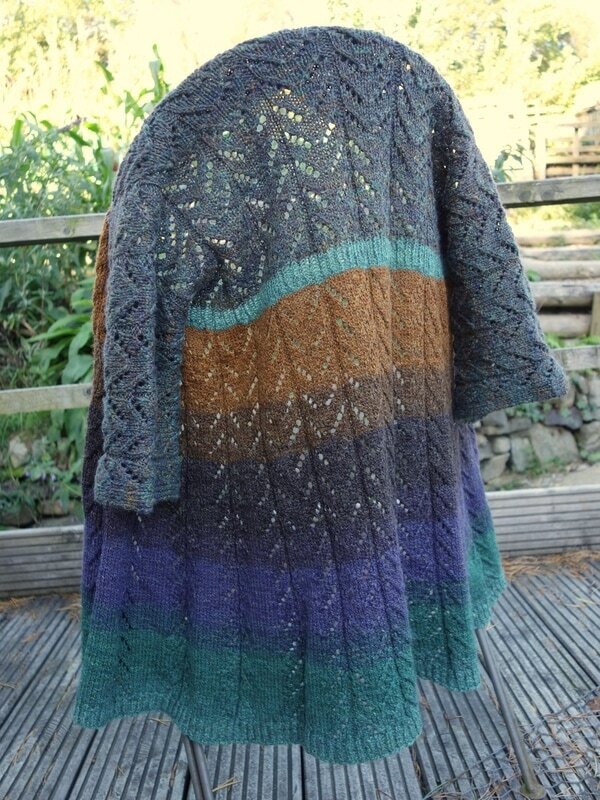 This makes a large, generous sized shawl you can warp around yourself. 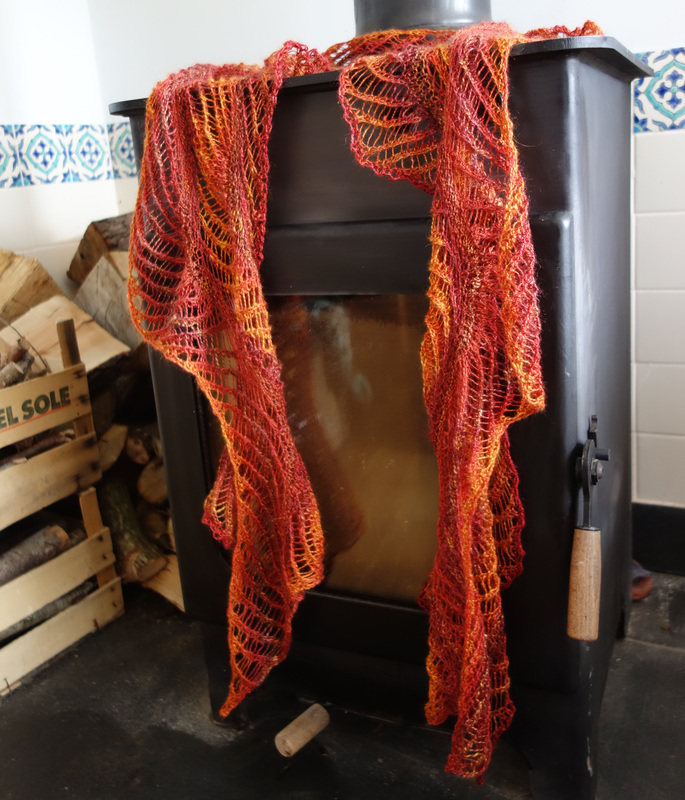 If you're happy with a smaller shawl it would be an easy pattern to adapt, and you could then get away with just 1 sample pack, plus the 100g braid of Tussah. 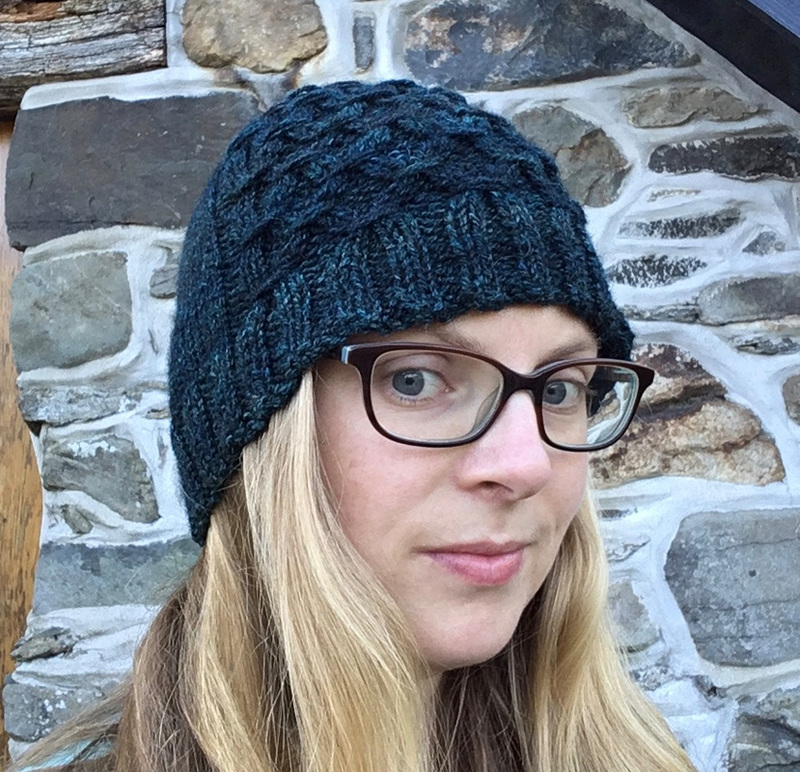 Hat took 65g of yarn. Made using 3 Gradient Packs. One pack was carded together to make the yarn for the sleeves. 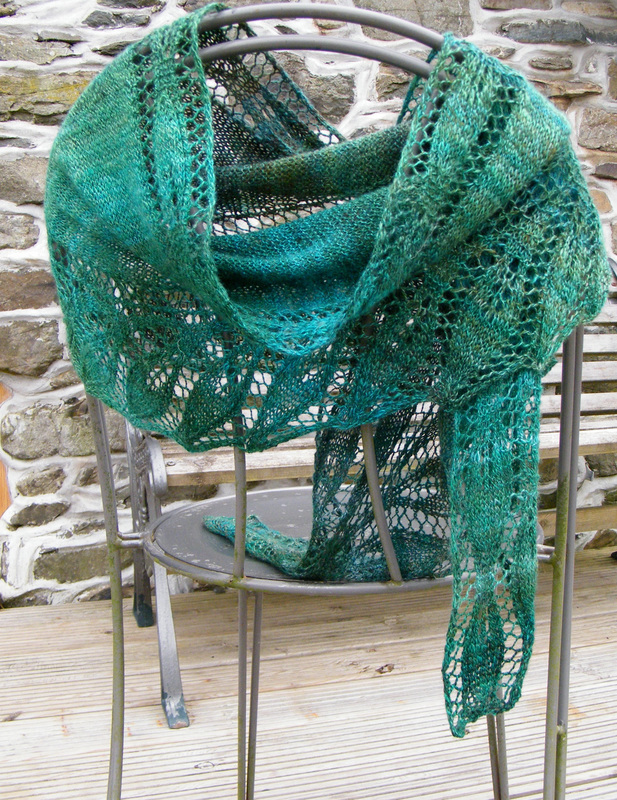 The remaining 2 packs were spun and plied together to knit the body. 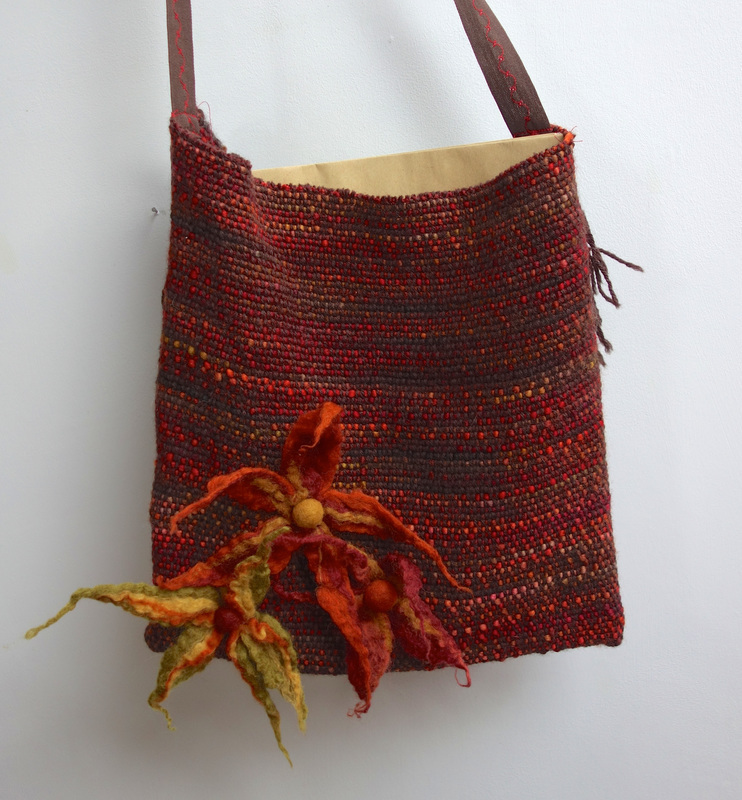 Made using Romney, Silk & Linen. 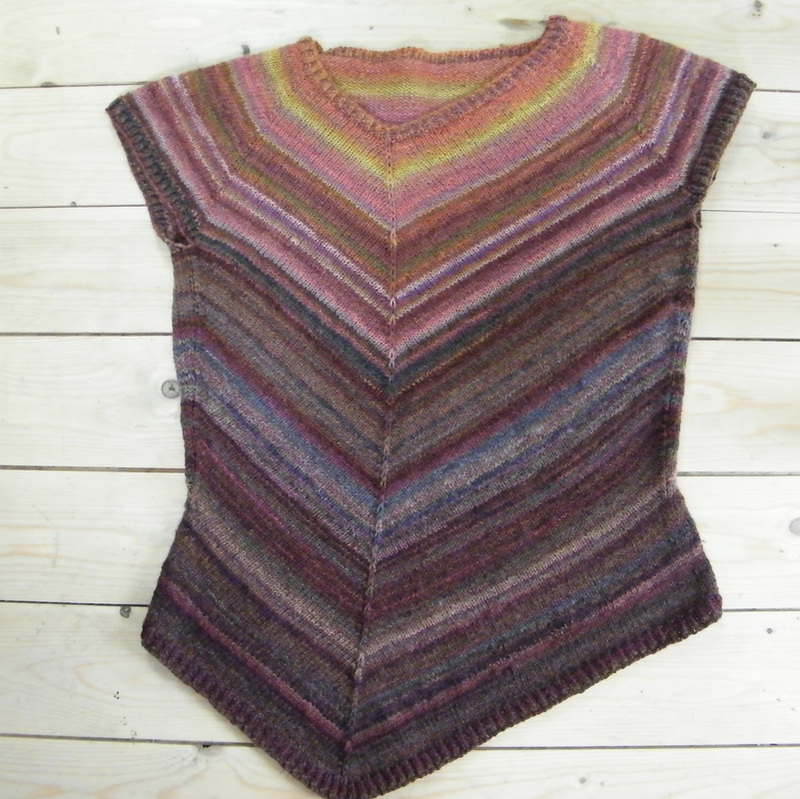 Pattern can be adapted to use up all of a skien. I used all of a 100g braid. 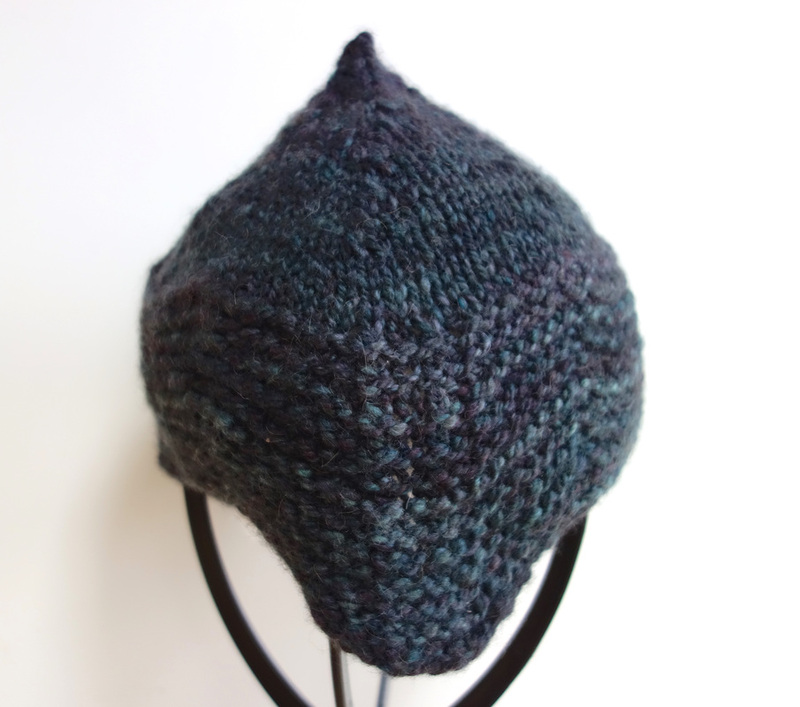 Details of my minor modifications are on my Ravelry project page. 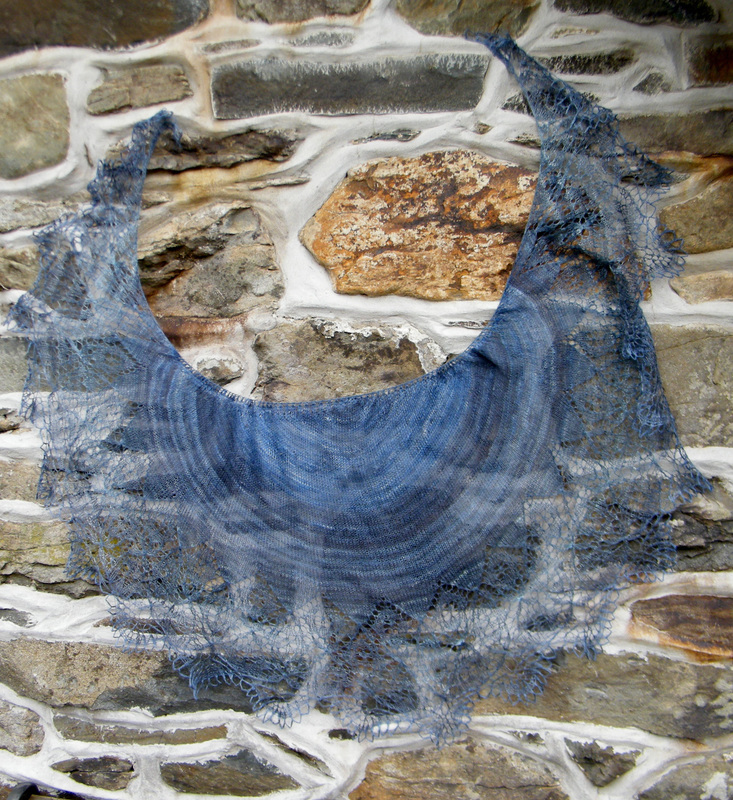 2 packs were spun together in to a 2-ply yarn for the body. 1 pack was split in half to make matching skeins for the sleeves. Total weight used 365g, to make size 38in. 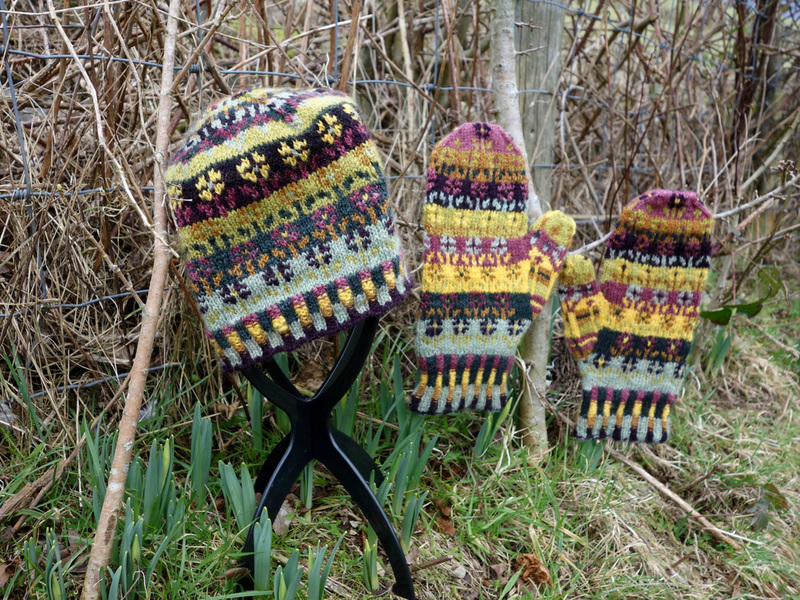 For more detailed information see my Ravelry project, and stash entry. 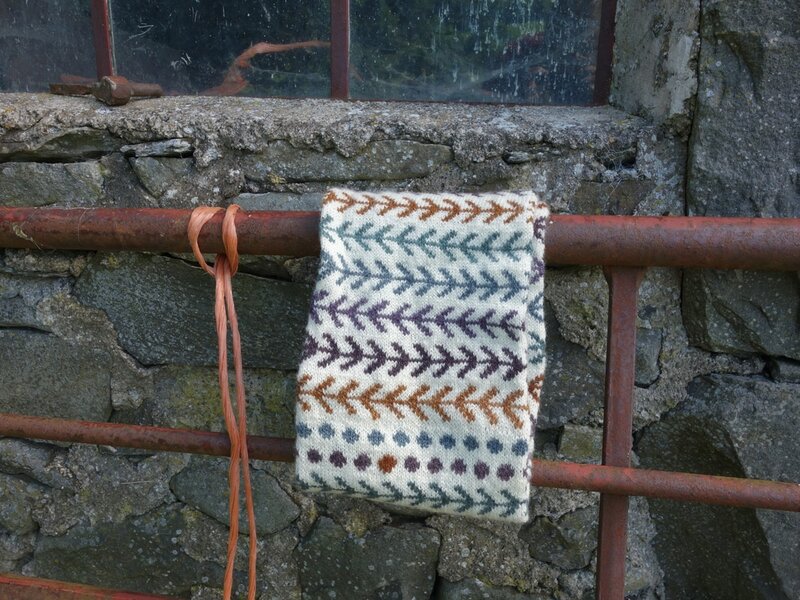 Made using Corriedale, Yak and Rose Blend. Finished Hat took 50g of yarn. 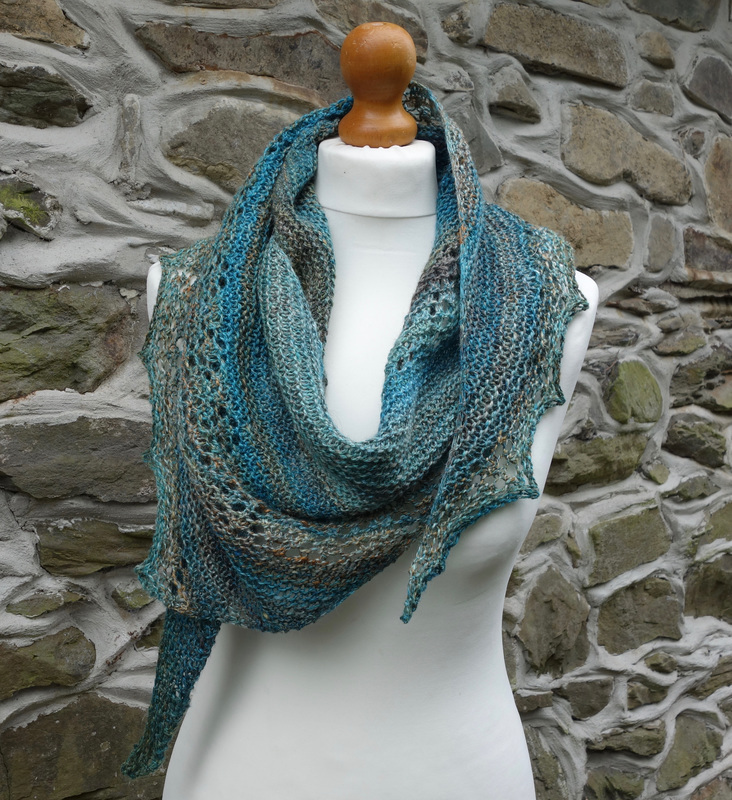 Sample was made from one 140g Superfine Shetland Bach Pack in the Shale Colourway. In order to not run out of yarn I swapped around the colours I used for motifs with each pattern repeat. In the end there was 25g of yarn leftover. 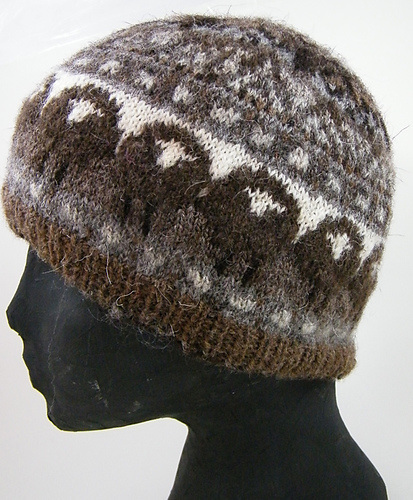 I made a minor alteration to the placement of the thumb, details are on my Ravelry project page. ​Printed Patterns are available from my online shop. 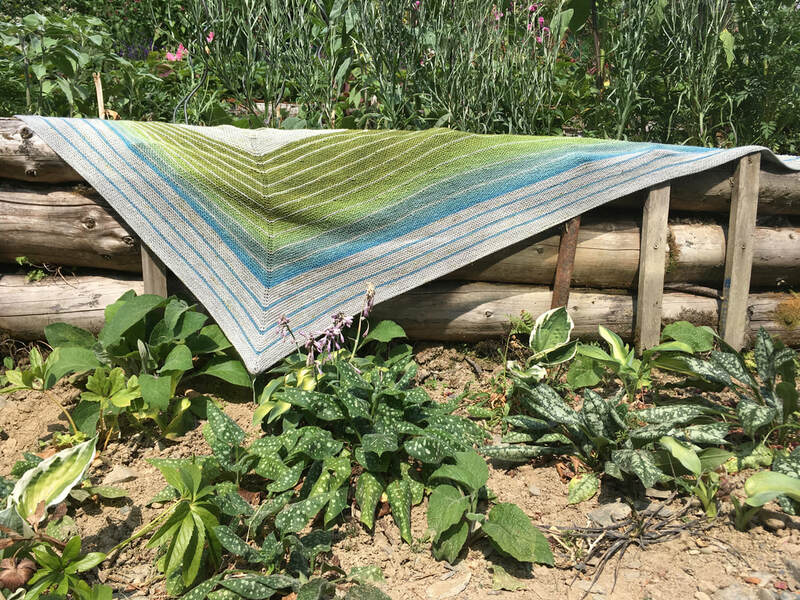 Aranami Shawl by Olga Buraya-Kefelian. 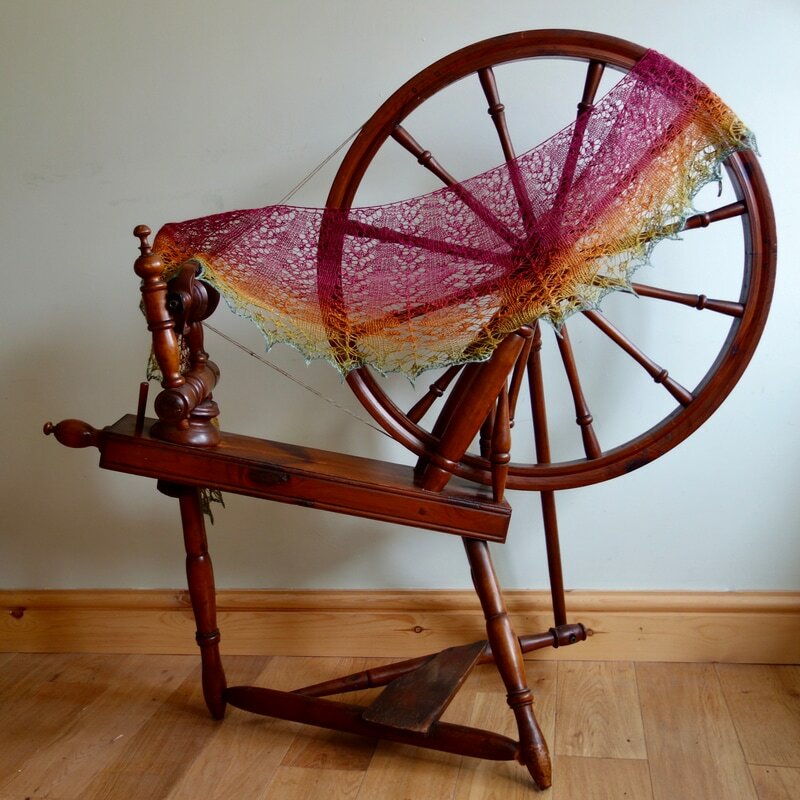 Yarn was spun as sport weight, and to knit the pattern full size took around 30g of each colour. 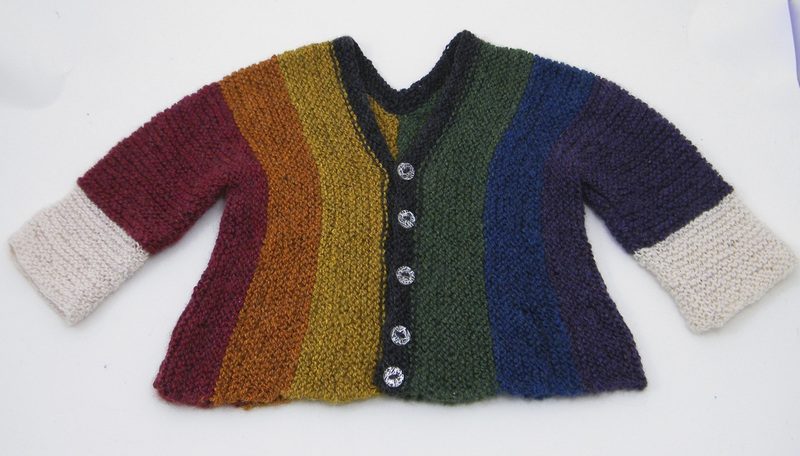 There's a chart showing how I laid out the colours on my Ravelry project page. 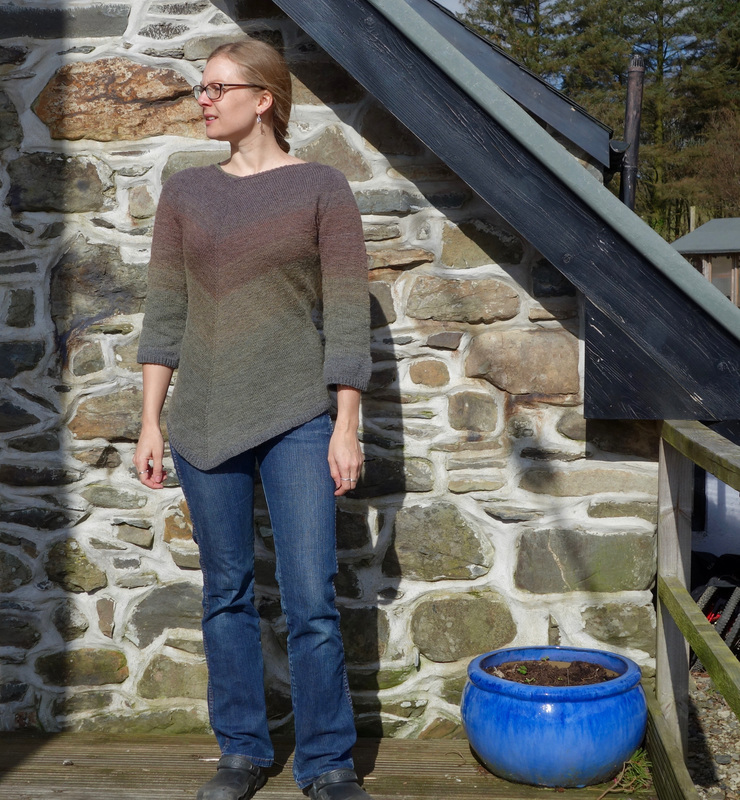 Made using BFL Sock Fibre dyed as a mirror gradient. I used a commercially spun sock yarn for the heels, toes and cuffs. The pattern is worked toe up to allow you to use all of the gradient. Used a plain cheap wool lace weight doubled for the warp. Weft is un-spun silk hankies. I just pulled out to a strip, and then pushed through the shed using my fingers, overlapping to join hankies as I went. Was slightly concerned about pilling, but the warp holds the long silk fibres really securely, and it’s made a lovely fabric. 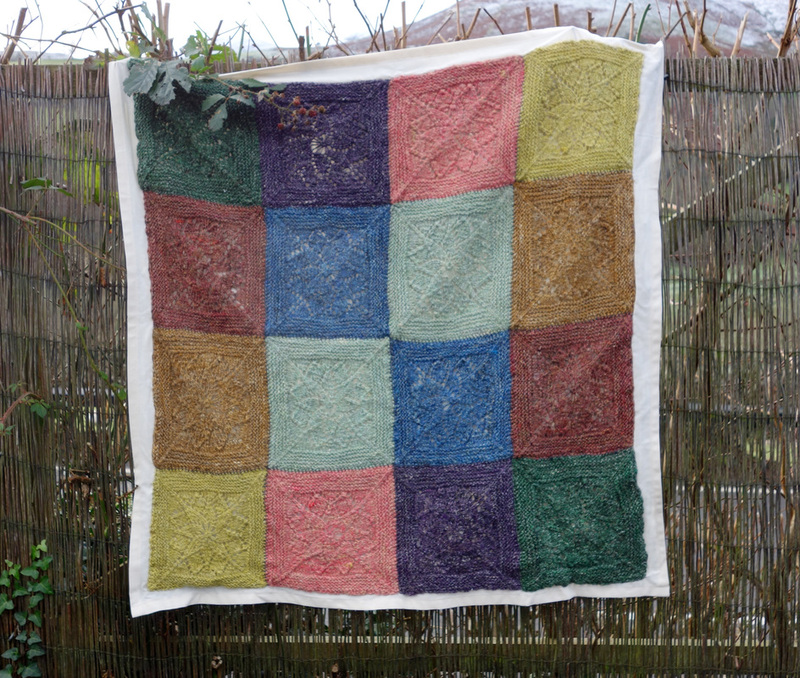 Each square is a different colour from my Ceilidh Collection. 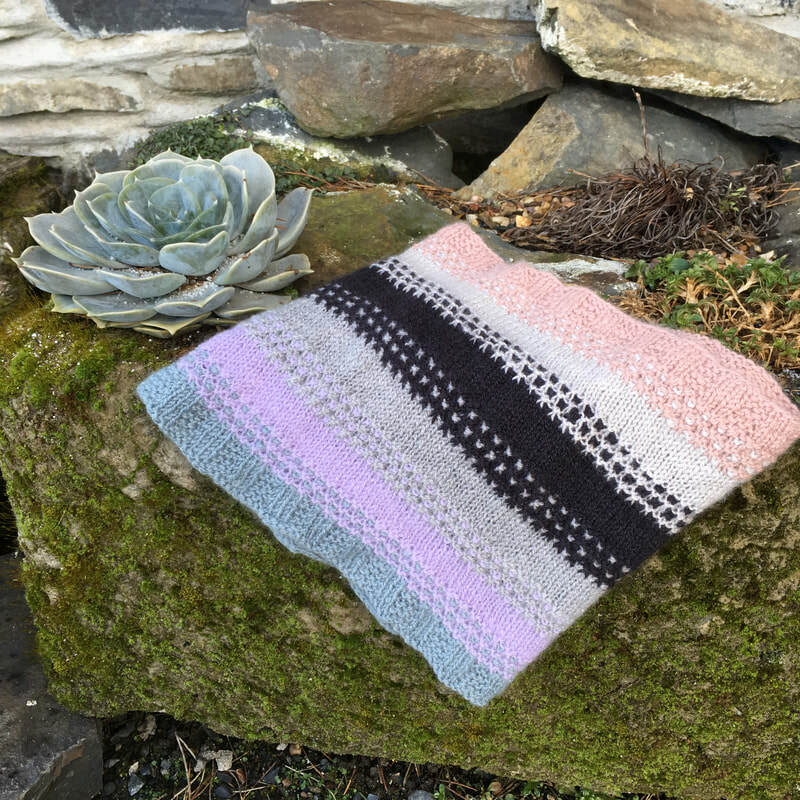 This blanket used approximately 50g of each colour. Warp was a plain wool yarn, weft was the pencil roving. A 200g hank will make 2 bags of this size. Made using BFL, Size 38" used ~300g of fibre. 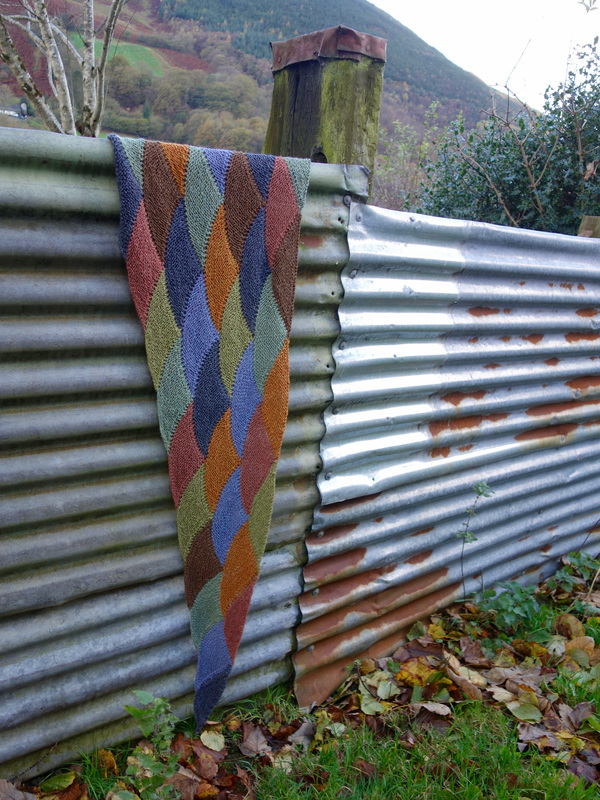 Colour and Weave sample using Hiraeth Collection. 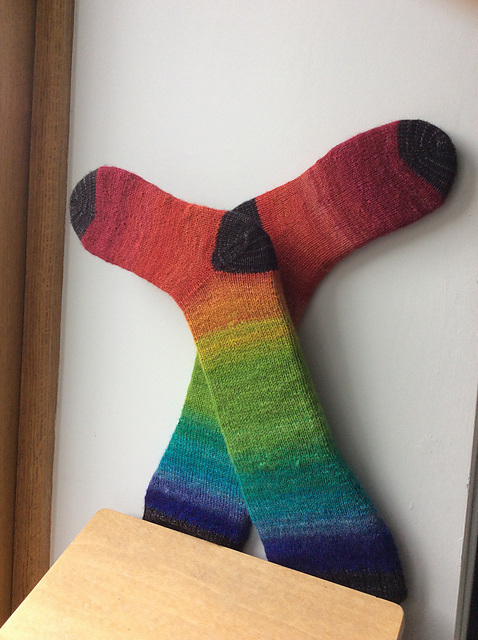 Made from Rainbow Sprinkles, 1 packet (160g) was enough yarn for 3 month size. 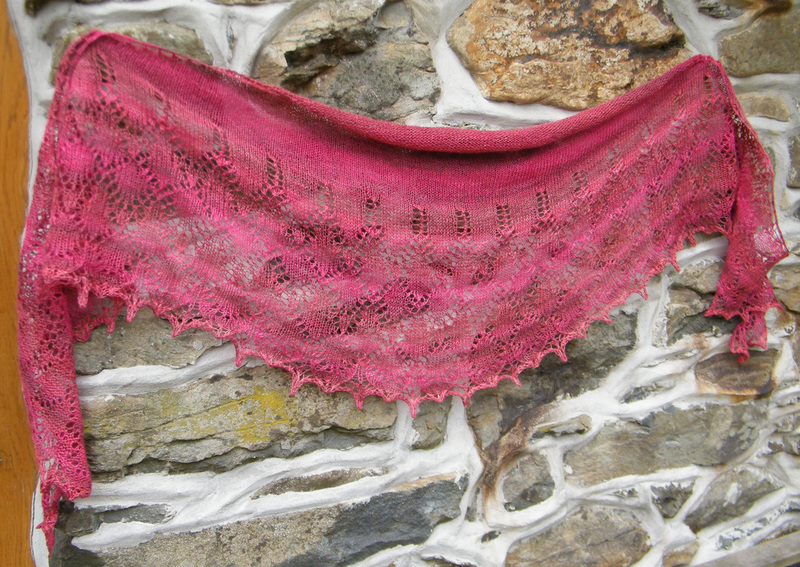 Made using around 50g of a hand dyed silk brick. Made using British Breed Sampler. Printed Pattern also available to buy in the shop.